Now, that's the team you came to know and love a year ago. 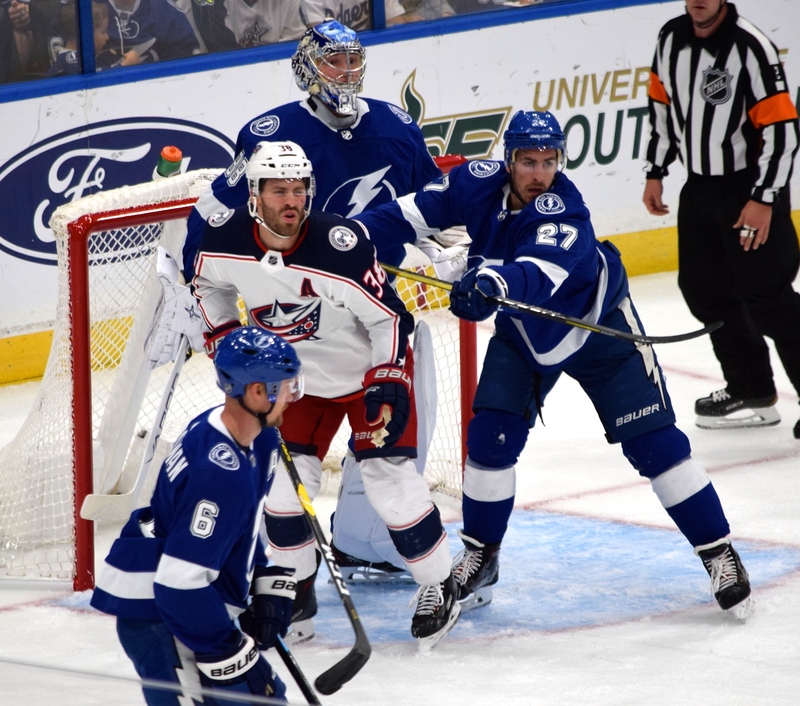 After two games where they absolutely could not score, the Tampa Bay Lighting exploded Saturday night with eight in an 8-2 victory over the Columbus Blue Jackets at Amalie Arena. 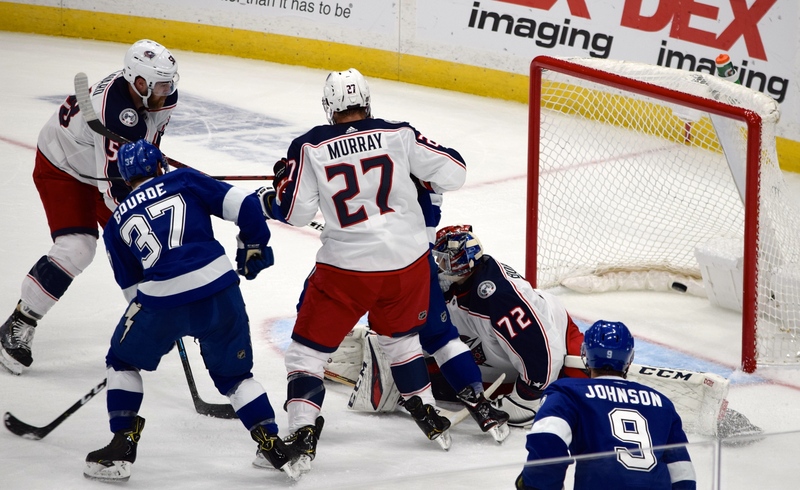 The players had sworn that it was coming, that this team was too talented not to score, but it came quickly and plentifully against the Jackets. -- Seven players scored the eight goals. Brayden Point scored two. -- Thirteen players had either a goal or an assist. -- Six players had multi-point games. -- The Bolts scored four power play goals after not scoring any in two games. Well, it had to look fast. 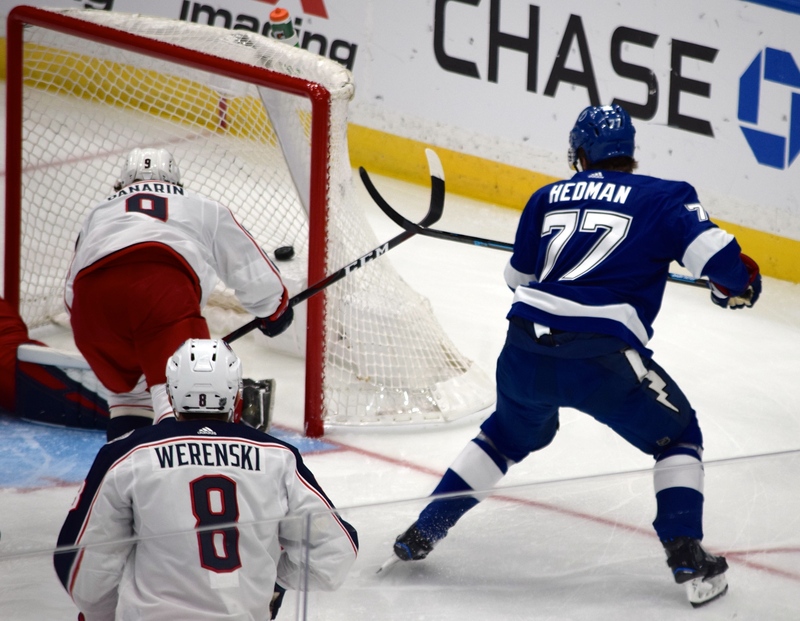 Victor Hedman scored a minute into the game, and the Bolts were rolling. 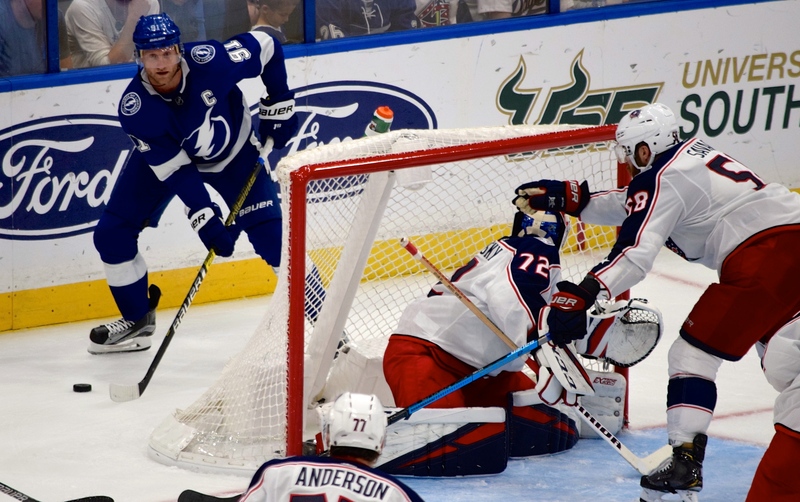 They would score three times in the first period, slow down in the second (the Blue Jackets cut the deficit to 3-2) with just one, then scored four more in the final period. It was a comfortable win. Goaltender Andrei Vasilevskiy made 30 saves for the victory. “I thought we had a really good first period," Cooper said. "We were attacking the net and putting ourselves in position to score those goals. When you do that, usually some good things are happening. Yanni Gourde said the scoring was infectious. "Everyone wants to score a goal," Gourde said. "We all want to contribute offensively and I think it was good for everybody to have a game like this. I think our power play was much better. We directed pucks at the net and we created rebounds, and that's how we scored goals and that what we have to do more of." Gourde played on a line with Steven Stamkos and Brayden Point. "It was amazing," Gourde said. "I mean these two guys are great players, and they've played so well. It was good to see Pointer get a few goals there, and I'm excited to keep playing with them." Point gave credit to the team's penalty kill. 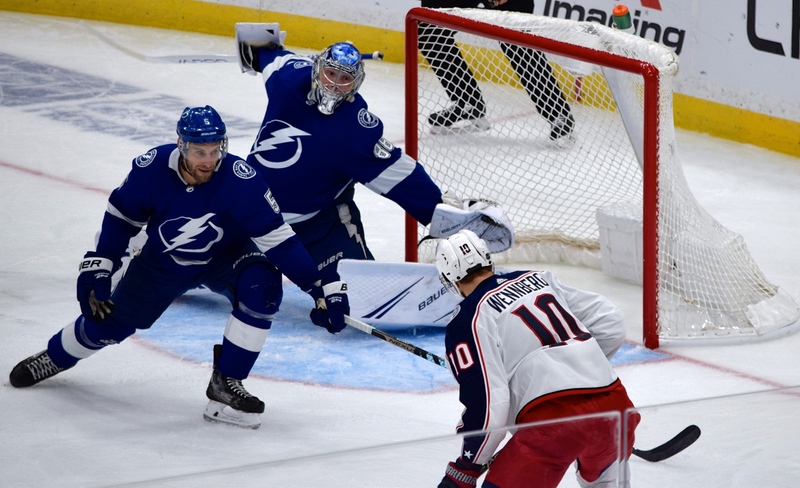 "Stammer does a great job wheeling to the net and drawing a penalty in the second period, and we come out and are able to put one in the net early in the third and I think that makes a big difference in the game," Point said. "I thought our PK was real good in the second and that gave us a chance to score some goals in the third too." 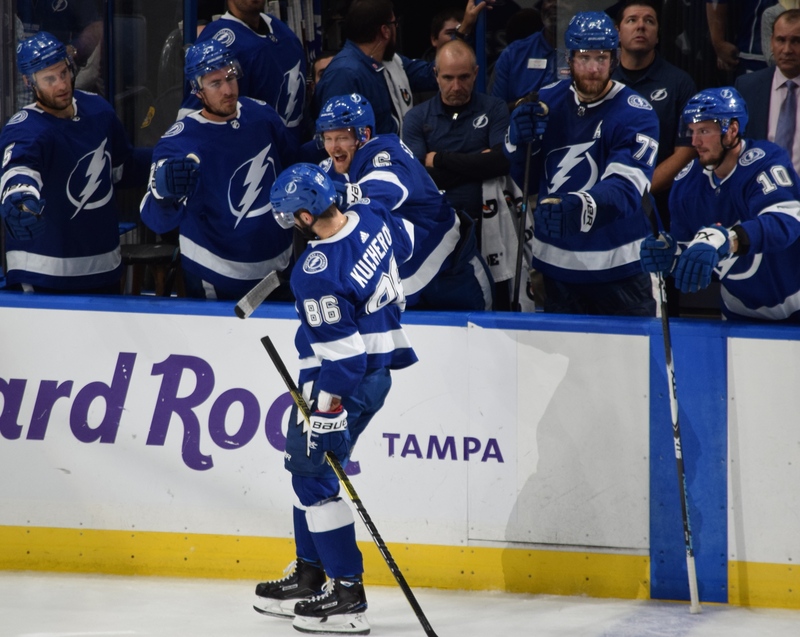 Point liked playing with Stamkos and Gourde. "Well, you can I guess cheat a little more in the face-off circle and not worry about getting kicked out as much and when it's not going good for someone like tonight, I've been struggling a little in the first two games so Stammer and Gourdo were able to take all of the draws pretty much and having a lefty and a righty it's huge. So you can take both strong side draws, but they did a really good job in the dot tonight." The Bolts' homestand continues on Tuesday night when Carolina comes to town. Game time is 7 p.m. at Amalie Arena.